It’s easy to see why waste management complaints are on the increase in the UK. Budget cuts lead to a reduction in the level of service that most companies can provide. This produced more than 4,500 complaints to local councils per day in 2018 (source- BBC News). If you provide waste management services, you know that this figure has to be reduced. Solving modern issues requires a new solution. This is why, at Integrated Skills, we have been working hard to develop problem-solving tools that will help you make the most of your budget. 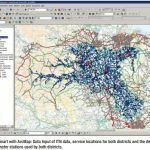 What is achievable with route planning software? Time is a finite resource. You only have a certain number of staff hours within the budget. You need to use them as efficiently as possible. Route planning software from Integrated Skills ensures that you reach your target every day. If you don’t, you’ll be able to see exactly why and make improvements for next time. Route Optimisation Software shows you the best routes based on street maps. It also adapts to historic traffic data, and account for road works. Your team can be responsive to these. This means that nothing stands in the way of efficient collection services. 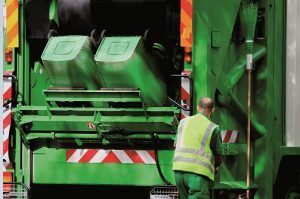 Regardless of the time of year, weather conditions or any other factors, you can respond to the growing issues with route planning software and other waste management solutions. This will lead to a reduction in the number of complaints and secure your business for the future. Complaints, lack of job satisfaction and high pressure – all of these can cause problems in your workforce. Everyone wants to feel like they are doing an effective job, especially if they are working hard. 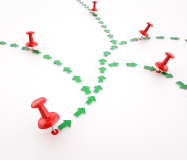 Improved route optimisation means that your employees feel more supported. They have a higher chance of achieving the required standards and feeling job satisfaction. You can also use data from our route planning software to give useful feedback and training. A tangible increase in fuel efficiency is another way to make even more room in the budget. With figures from our Route Optimisation Software, you’ll also be able to show your green credentials as well. These are becoming more important than ever for securing contracts if you are a contractor to local government.